Time has flown by again, and it is once more time for a new challenge at Here Comes The Boys. This time round we have a photo collage inspiration for you to have a go at, which is kind of travel/transport themed, so why not pop on over and join in the fun. As long as you enter a male orientated themed creation, that fits the challenge you will be in with a chance of winning a fab prize. I have used a LOTV stamp for my creation, wit a Stampin'Up sentiment. As usual, I have coloured with ProMarkers. Thanks very much for looking, and I'll see you again soon. Really sweet love the colours! Super adorable. Your image is colored perfectly. 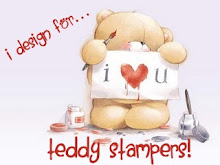 Thank You for joining us this week at Loves Rubber Stamps. It is always a treat to see such great work. Such a sweet image. Thanks for playing at Loves Rubberstamps! Super cute, love the layout and gorgeous coloring! Thanks so much for joining us this week at Art Impressions challenge! Lovely Male card Sharon and love your colouring too. Thanks so much for playing along with us at Just Add Ink this week. Great little card Sharon, love this little image. 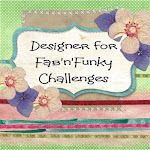 Thanks so much for joining the challenge fun at Just Add Ink this week. A gorgeous card. I love the image and great design. Fabulous card, love the image used and the coloring job! Thanks for playing with us at Loves Rubberstamps!